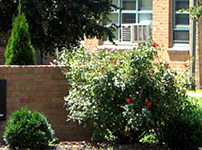 Information about members of the Class of 1959 is listed alphabetically. Information received from class members has been edited by Janet Burnett Huchingson, Sherri Dobbins Millsap, Vida Ingerson Death and Karen Stuart Heeb. If you have information to add send via email to ruth@humphreyfam.com. I finished my MBA at KU in 1965 then served in the Air Force from 1965-1969. I was stationed at Nellis AFB in Las Vegas and Mountain Home AFB in Idaho. After the service I worked at United Bank of Denver from 1969-1973. I moved to Longmont and was Vice President of Administration for Longmont Foods from 1973-1988. From there I went to Boulder, where I was County Risk Manager until 2007. Julie and I have been married for 44 years. We have a son in Denmark, a daughter in Estes Park and another son in Denver. We have six grandchildren. We like to travel to exotic places (like Kansas!) I enjoy racquet sports, golf, skiing and hiking. I have enjoyed every minute of my retirement! Notes of my life: Got an MBA, served as an officer in the USAF for four years, now the risk manager for Boulder County. Memories from Lawrence High Days: Driving around the ‘square,” playing on great football teams, noon poker games at Davis Leckron’s, hunting quail, and just hanging out with friends. I have been married to Ken Zink for 20 years (second marriage) Since graduation I have lived in Seattle, Wash., Newport, Conn., New York City, Boston, St. Lucia in the Caribbean, Washington D.C. (twice), Kwajalien in the South Pacific, Minneapolis, Houston, Austin, Texas. I worked for SCM for three years, Control Data Corp. for 25 years, misc. small companies, Hyperformix (a software company) for 15 years to the present. Still working. We enjoy sailing almost anywhere; our last trip was to Croatia. I enjoy reading, gardening, sailing and being with friends. I hope to retire in two years. It’s been a good life! Notes of my life: After graduating from KU, worked in the computer field for 40 years. Have traveled to 6 continents. Current Activities: Working half time while undergoing chemo for colon cancer. Plans for the future: Retire, enjoy my family, garden, travel, rest. 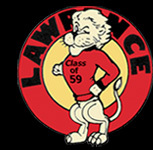 Memories from Lawrence High Days: It was a wonderful time to be young and a wonderful place to grow up. John and I have been married for 47 years and have two children, two grandchildren (both soccer players), and two granddogs. I’m a retired legal assistant. For two years I was a para-educator, and now I’m a part-time teacher aide (clerical and statistical) at Emporia High School. John retired 13 years ago after teaching 7th grade Social Studies and Driver Education for 29 years. My hobbies and activities include grandchildren’s sport and school activities, church and community volunteering, reading and crocheting. Current Activities: Family, numerous church activities and responsibilities, reading, crocheting, relaxing more. Plans for the future: Really retire from the law office!